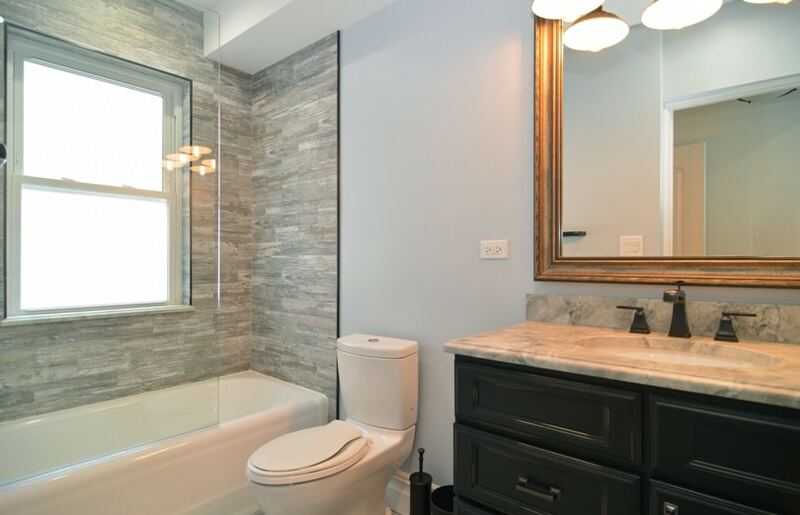 The project bathroom remodeling chicago, was particularly interesting given the space and challenges. However, we started with planning and after considering several designs and additions we narrowed down to having a shower area. The washing counter with cabinets and a glass front bathtub. We started with making a layout so that we get everything needed in limited space available without making it look congested. To save on space we installed cabinets under the washing counter and had the bathtub adjacent to the shower area. 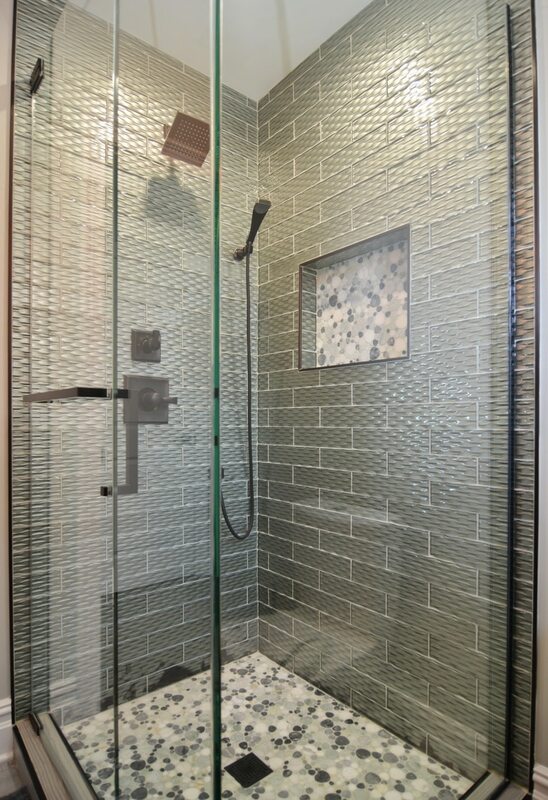 As all our remodeling works include working on interiors, sidewalls, and tiles. We also made sure that the design and colors follow a pattern. With the shape cut in the tiles for the hand wash countertop and having a mirror with antique style hanging right in front. We made sure that the bathroom looks modern and stylish. 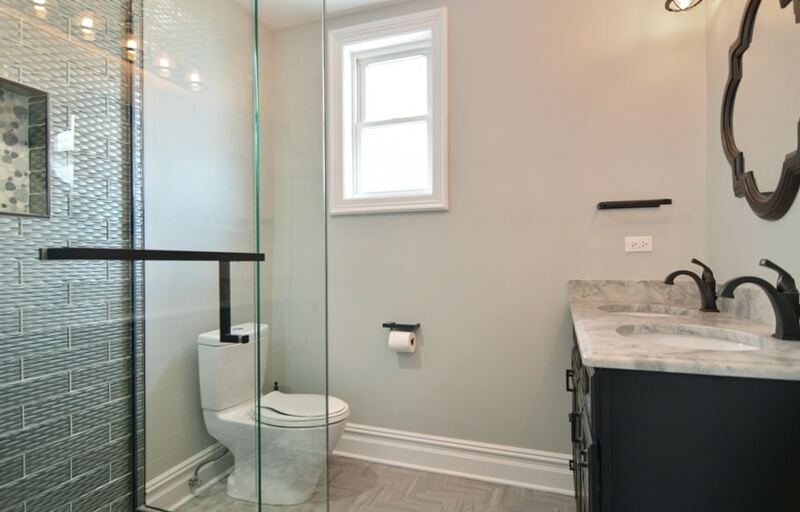 The glass front bathtub made it classy and perfect to match our client’s needs. Our experts made sure that everything was in place and also the plumbing was duly taken care of. Glass front Bathtub added to the look and also provided a separation which was needed as the space was limited. The shower area and the tiles on the side walls with a shelf cut out in the wall allowed for some to keep the essentials. The tile cut shape on the hand washing countertop with the antique style mirror on the wall added to the look of this modern bathroom. Copyright Everry Construction INC 2018 – All Rights Reserved. Powered by WebUptown.